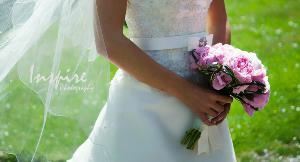 Inspire Photography is dedicated to providing the highest levels of quality, creativity, and professionalism. High-end digital cameras and equipment are used for all of my photography projects and I offer a diverse range of photographic services. I have an excellent reputation for being reliable, affordable, and for always making sure my clients recieve personalized attention. With over 10 years of experience and having a love of photography, it is my goal to provide you with the service you expect, and memories that will last a lifetime, at a price that is sure to surprise you. Centrally located near Modesto, Ca, I am currently serving the Central Valley, the San Francisco Bay Area, the Central Coast, and the Sierra Nevada Mountains.